Video game developer Ubisoft Ivory Tower (born of the union between Ivory Tower and Ubisoft 2015) opened its new offices in Villeurbanne on 29 November. The company settled into their 1665 sq. m premises on a renovated industrial site in June 2017. Some 1000 sq. m are devoted to open office space for 175 creators. Bolstered by the success of The Crew, that brought together a community of 13 million gamers, the teams are currently working on the second version. Planned for March 2018, the V2 will enable users to travel across several cities in the United States by plane, boat or car. To support the development of this project, Ivory Tower doubled its staff in 2017 and a further 200 people are to be recruited over the next five years. Ubisoft Ivory Tower is clearly aiming to become one of Europe’s largest studios. The videogame market represents 100 billion dollars in sales around the world and France is renowned for its creation. Lyon is the second largest digital hub in France, with some 32, 00 people working in the sector, demonstrating a 16% growth over the past 4 years. Lyon is a strategic location and a breeding ground for creation. 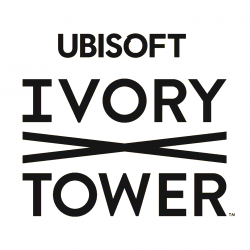 Ubisoft Ivory Tower has built numerous partnerships with local actors of the video game industry, especially schools offering specialised training. It is also involved with public structures, such as the competitive cluster Imaginove. Aderly, Métropole de Lyon and the City of Villeurbanne worked together to assist the company in its search for premises as well as the operational phase of the project.